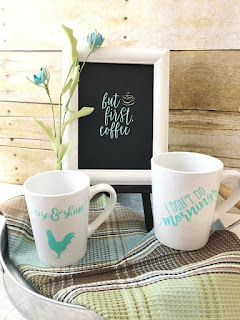 If you have been following me for a while you have noticed how I have become completely obsessed with Chalk Couture's transfers, chalk paste, and couture inks. 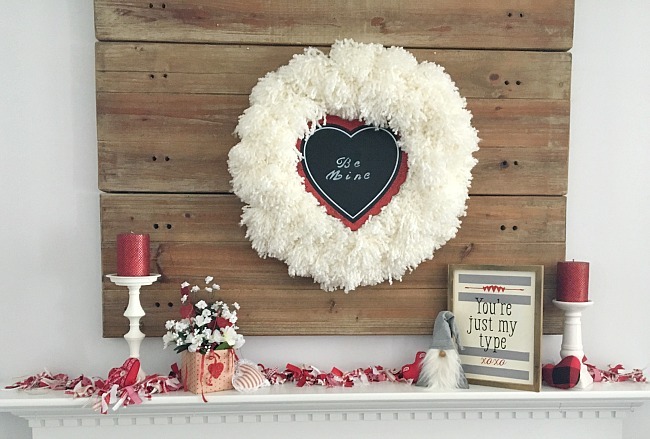 I mean TOTALLY in love with this new quick and easy way to craft beautiful home decor and crafts. 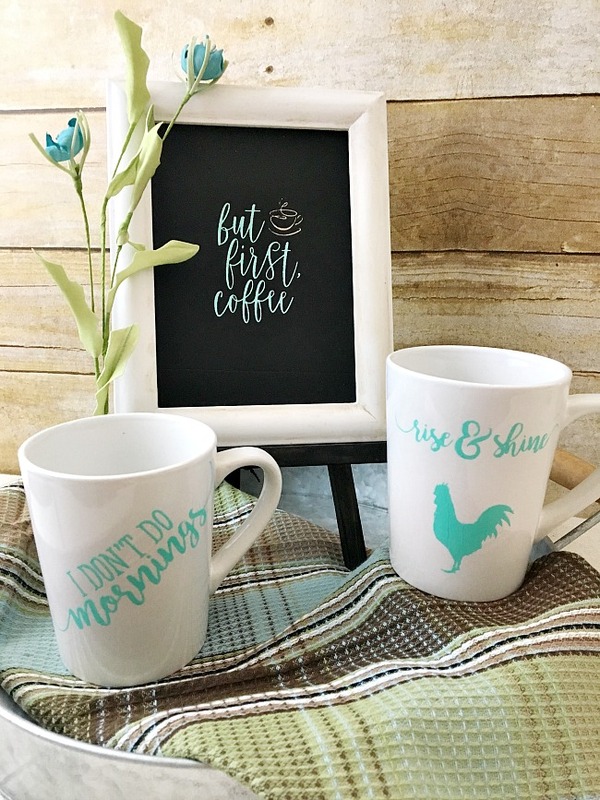 And, by easy, I'm saying in just minutes you can have a finished project done and ready to display or give away. So, when Chalk Couture announced it's new monthly subscription box I knew I had to share it with you all. I'm just jumping on to share a bit of fun with you today. It's such a chilly, grey, rainy day here at the beach and on days like this, I would love to grab a cup of coffee, wrap up in a warm blanket and veg out on the sofa watching Netflix or reading a great book. 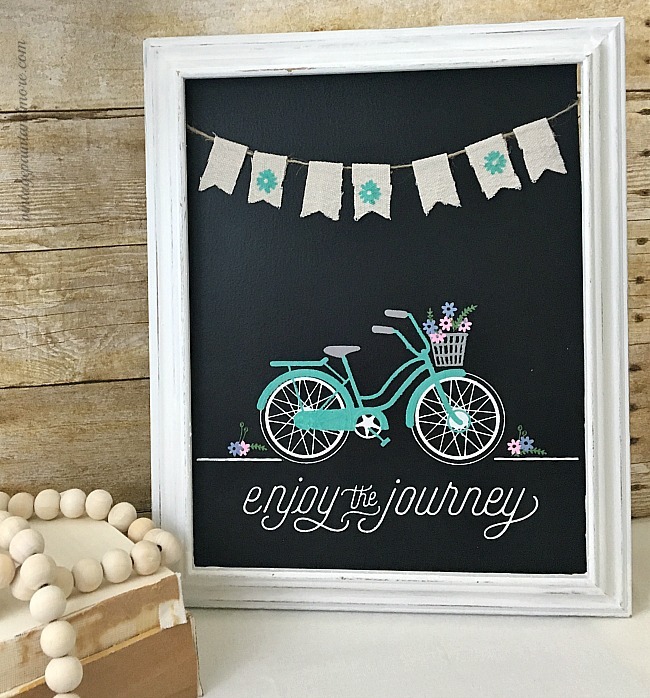 But, since I discovered Chalk Couture I find myself wanting to play with all the fun stuff they have. 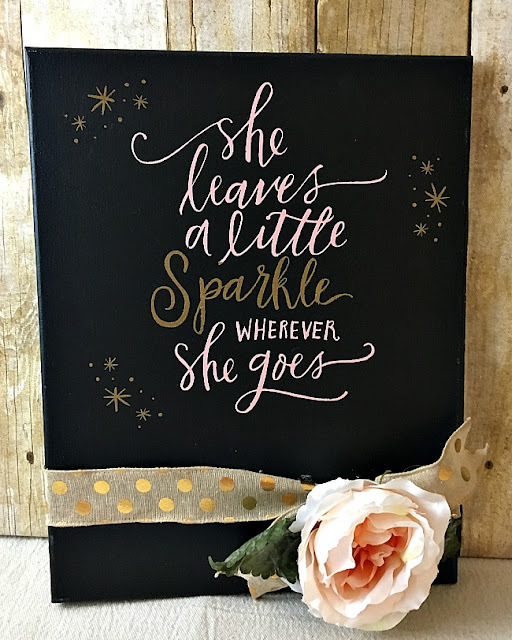 Check out this adorable little piece I made for my great granddaughter's room. I love how it turned out - and that I am able to customize each piece for the person I am making it for. Usually, in January I go into a depressive funk - all the excitement of the holidays has passed and let's face it January can be quite a dreary month weather wise also. It takes me forever to get into the mojo of doing something fun. 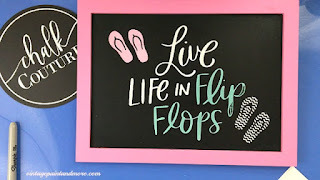 But, this year with Chalk Couture I am not having that particular problem. Oh, my Christmas tree and all the decor is still up and I have no thoughts of taking them down anytime soon but, I am having such fun playing with all the great Chalk Couture products I have. It's so easy to make a project in just minutes and what satisfaction of having it turn out looking like you spent hours doing it. No Pinterest fails here. Can I say I am in love with the ease and beauty of this method of crafting? 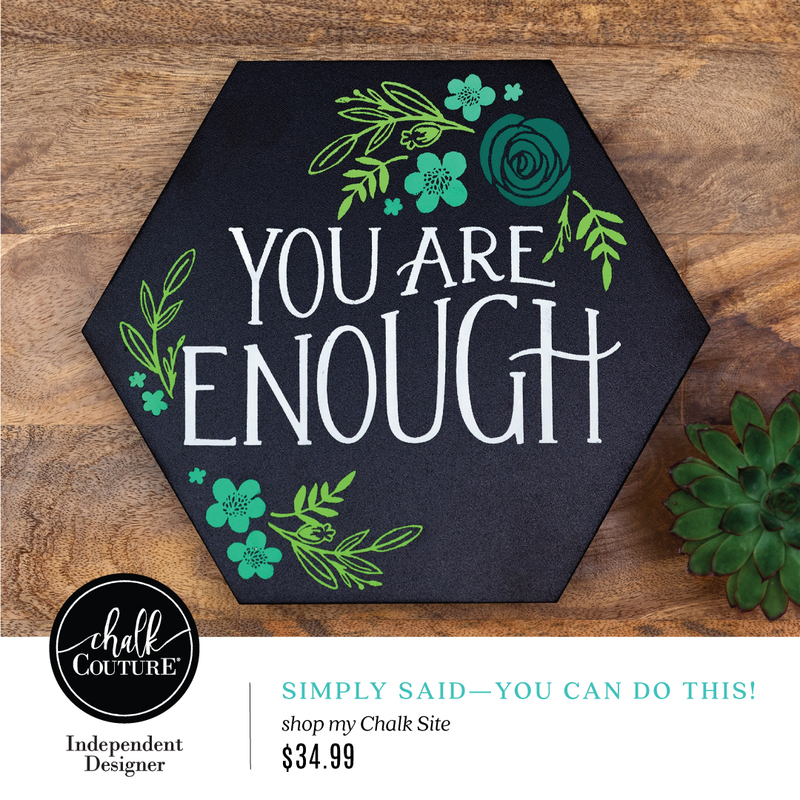 Check out this awesome hexagonal board with the YOU ARE ENOUGH quote. And, those colors were made strictly for this kit - not available to designers. Isn't it gorgeous! 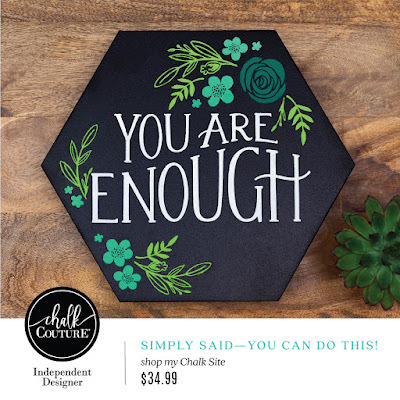 Who of us doesn't need to be reminded each day that we are enough - just as we are? Here's a great video with Christine explaining all about this awesome kit you can have. What do you think? A great kit isn't it? And, it's exclusive to customers. 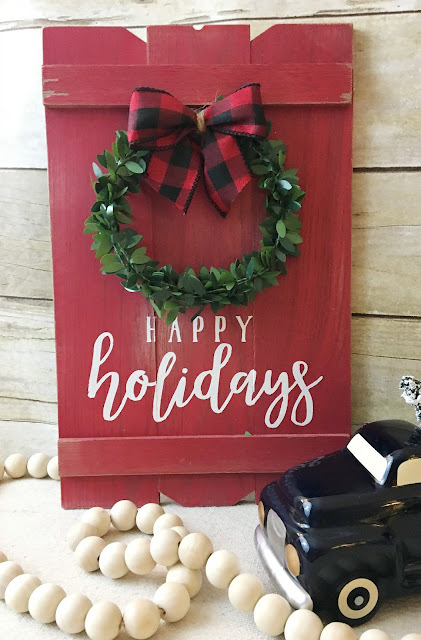 That time when the hustle and bustle of the holiday season are at its peak - decorating, shopping, baking - all the activities that bring us together with family and friends to celebrate in our own special ways. We had a wonderful Thanksgiving with our family - cooking, eating, watching football, eating and well, you get the picture... probably much like your holiday also. Now that Thanksgiving is over it's time to take down all that wonderful Fall decor and concentrate on the Christmas decor. 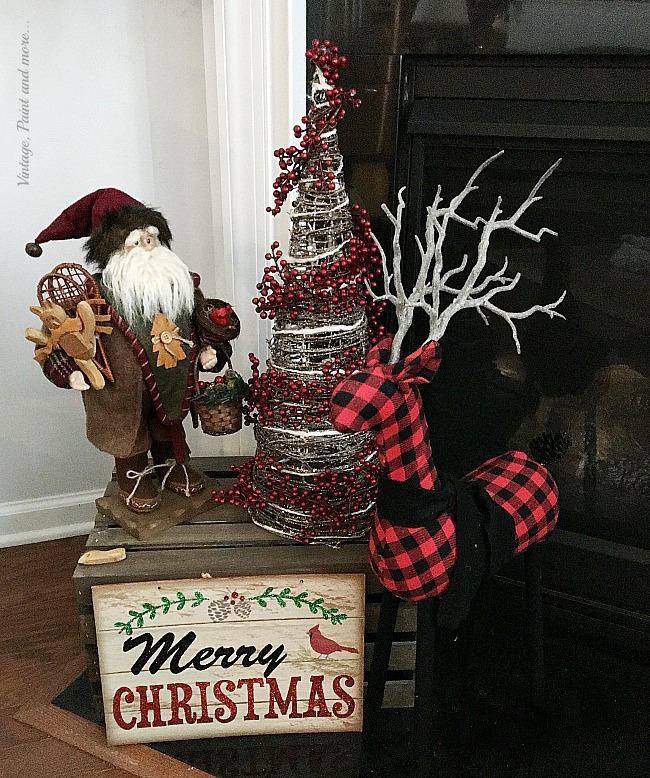 I love Fall and hate to see it go but I also love Christmas and love creating a Christmas Wonderland in our home each year. So, this week I am going to be quite busy doing just that. But, before I do any decorating each year I plan out what I want to do and begin making a lot of my decor. I love putting a handmade touch to each and every vignette I make. 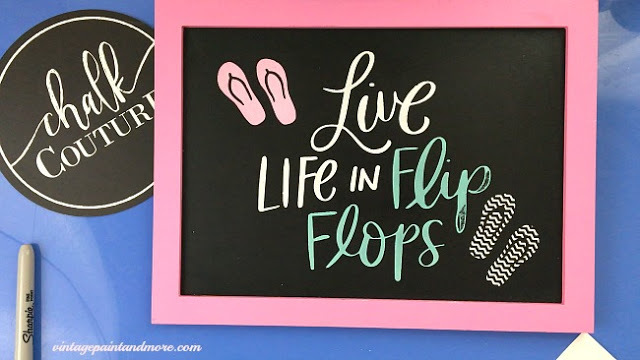 And, with the discovery of Chalk Couture that has been made even easier for me to do. I am able to create a beautiful piece in no time - I'm talking minutes - compared to the hours I used to spend before. In case you have missed some of my most recent posts you can read all about Chalk Couture here. 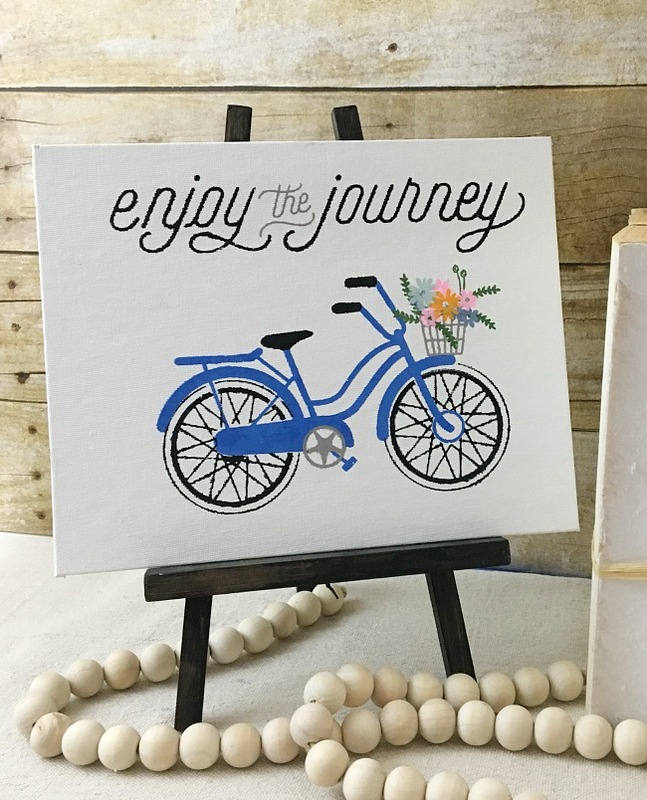 It's a new system of silkscreen transfers, chalk paste, inks, and surfaces that are taking the craft industry by storm. Their transfers are quite trendy - as you can see above - easy to use and can be done in just minutes. 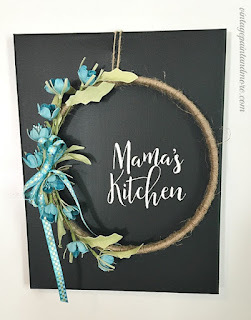 I am in love with the product and the way the finished project turns out - perfection. 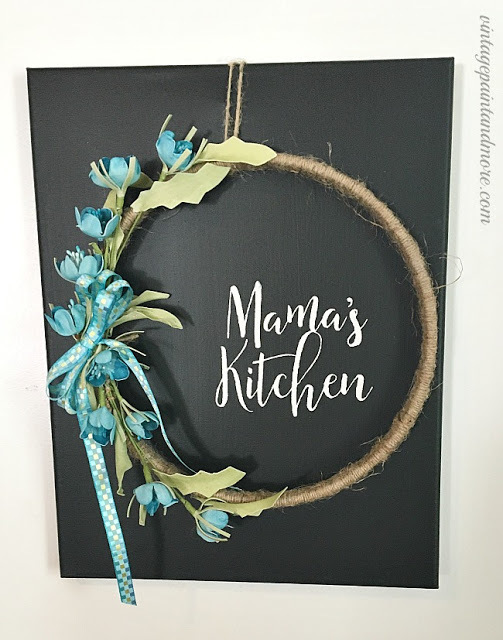 I also love how versatile it is - you can use it on most any surface you want - canvas, burlap, wood, glass, chalkboard, fabric - the list just goes on. 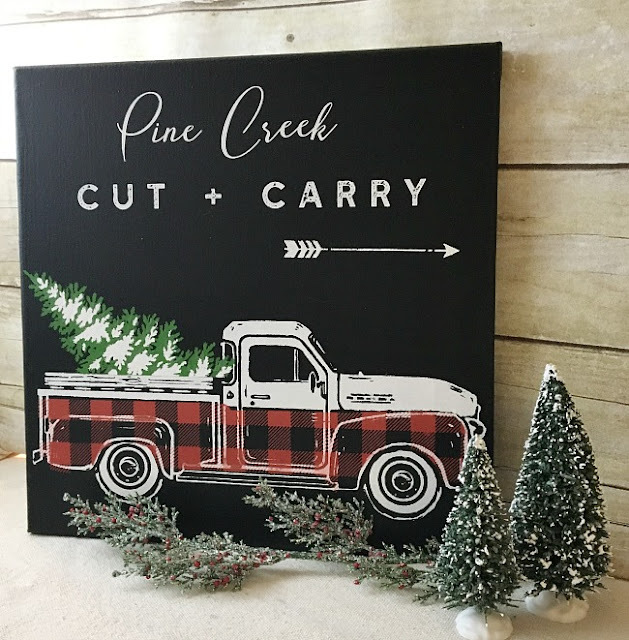 So many ways to incorporate it into your home whether you have the farmhouse, rustic, cottage, or eclectic decor - it will fit right in. 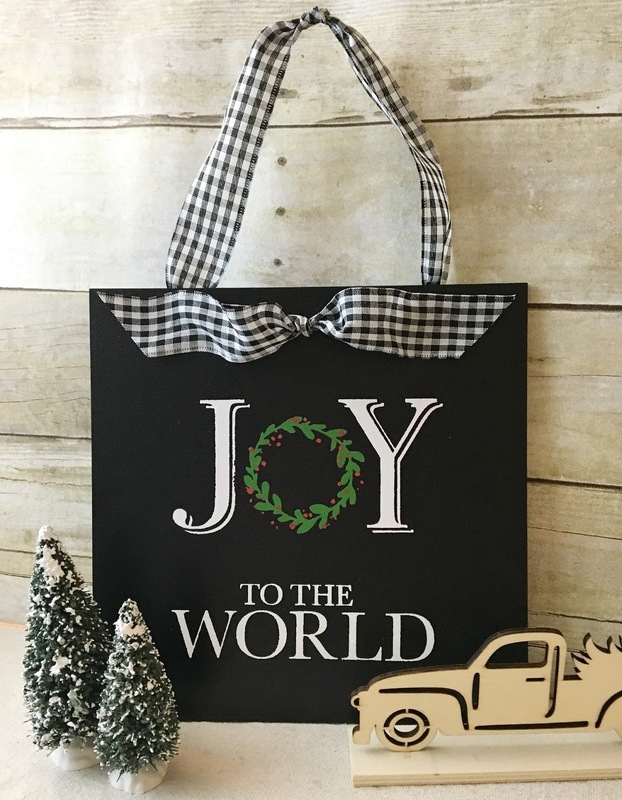 And, so easy to make handmade gifts for your friends and family this holiday season. Just think of all the ways you can make your home festive for the holidays this year. The ways are almost endless. However, Chalk Couture is not just for the holidays - you can add the trendiest decor to your home year-round with their products. 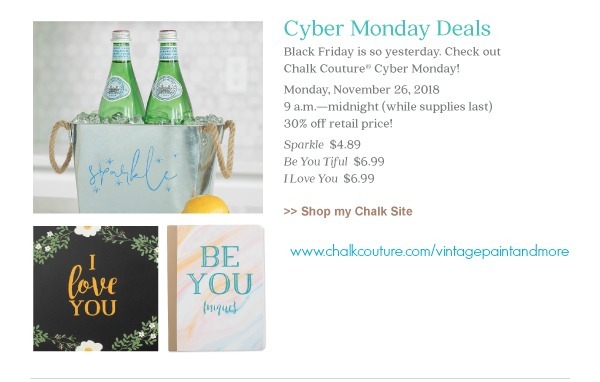 With this being the biggest shopping weekend of the year I wanted to let you know Chalk Couture is holding a big 3-day sale to celebrate Cyber-Monday. You won't want to miss these great prices on our transfers. 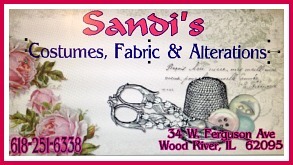 Just think of all the ways you can use them in your home and/or make gifts for those you love. 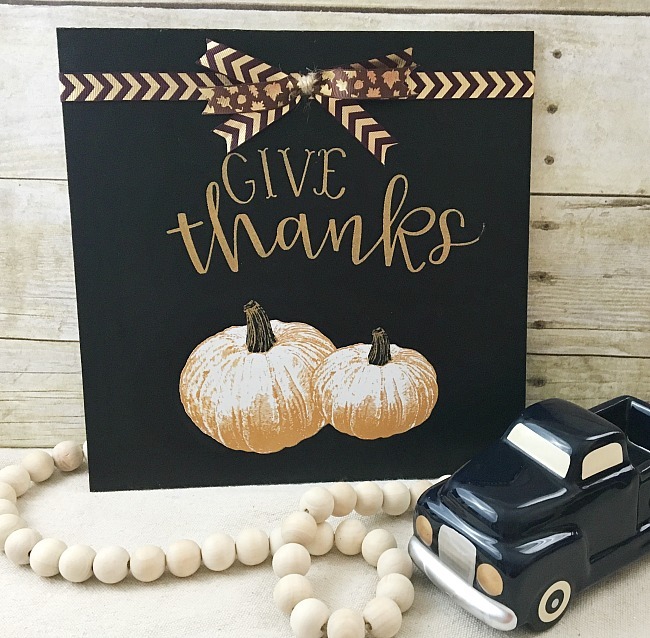 On Tuesday, November 27, 2018, we are continuing this great sale by offering the size B transfers listed at a 30% savings. They will be available 9am - midnight(MT) while supplies last. You can find these specials in my shop at Chalk Couture/Vintage Paint and more. 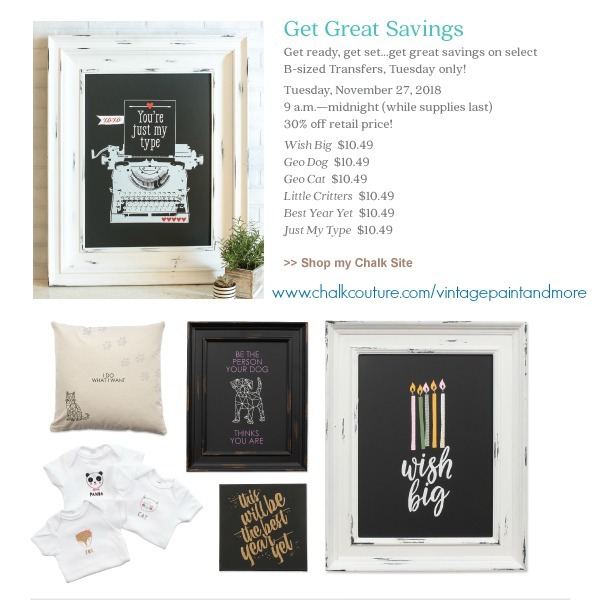 Then on Wednesday, November 28, 2018, the fun continues with our size C transfers listed at a 30% savings. These will be available 9am - midnight (MT) or while supplies last. You can find these specials in my shop at Chalk Couture/Vintage Paint and more. Check these transfers out. 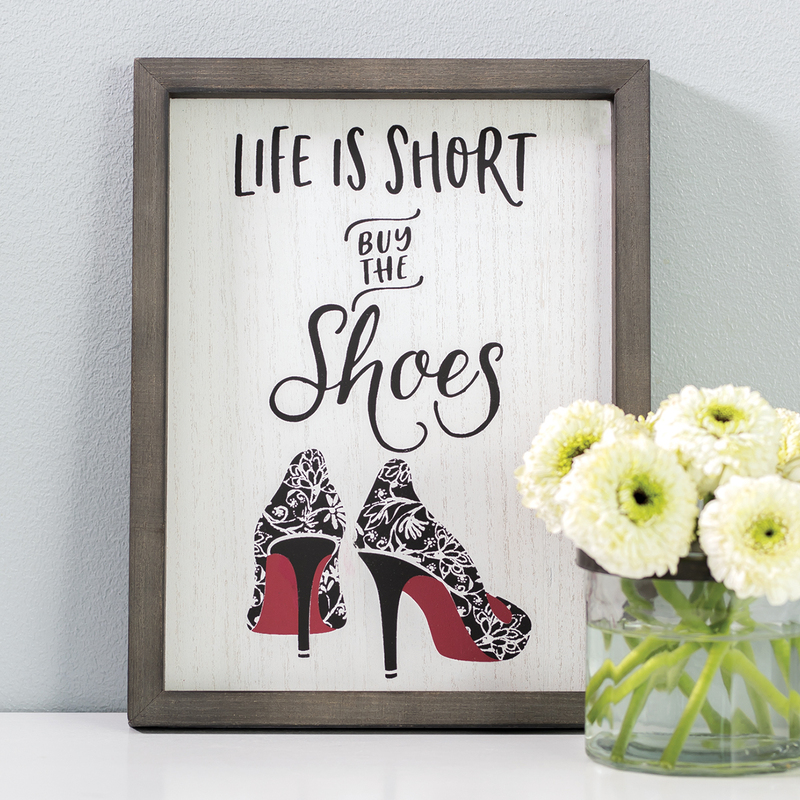 Just think of all the gifts, home decor and fun you can have with them. And, remember, done in just a few minutes for each project. 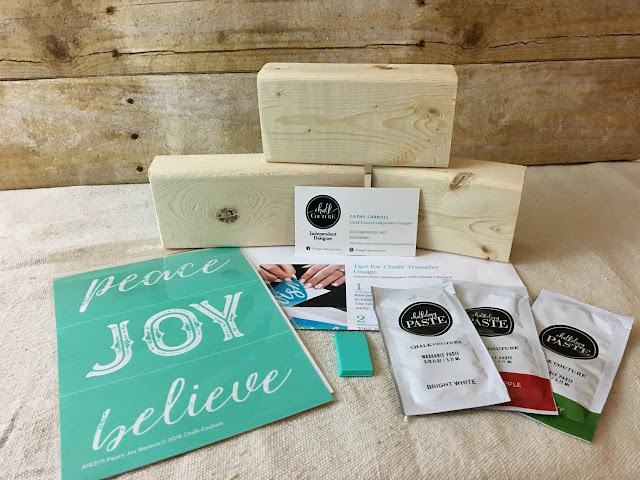 You, too, can give handmade this Christmas season and think how impressed your family and friends will be with your creativeness. So, head on over to my chalk shop this Monday, Tuesday and Wednesday and get your favorite transfer before they're gone - then you, too, can create your handmade masterpiece. 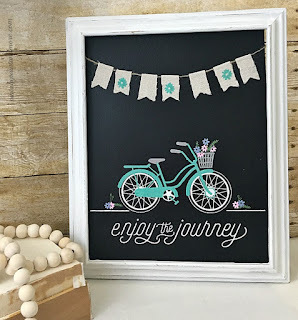 Then I would love to see you join my Chalking with Cathy group on Facebook. Take a picture of your masterpiece and show it off there - we love seeing what everyone is doing. 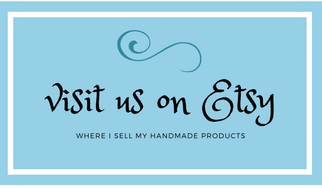 If you have any questions feel free to message me through my Facebook page Vintage, Paint and more. I will be happy to help you. Till next time - have fun creating something you love. Fall has finally found its way to the South. We still don't have a lot of color in the trees and our flowers are still blooming beautifully but, the temperatures have become quite cooler, giving us some beautiful days. And, the evenings are just cool and crisp enough we can actually get our firepit out and sit around it roasting marshmallows or just having a cup of coffee and chatting with friends and family. With these changes, of course, comes the prelude to the holidays and all the prep and frenzy that go with them. I have been seeing quite a lot of Christmas in my social media feeds but, I am just not ready to embark on it yet. 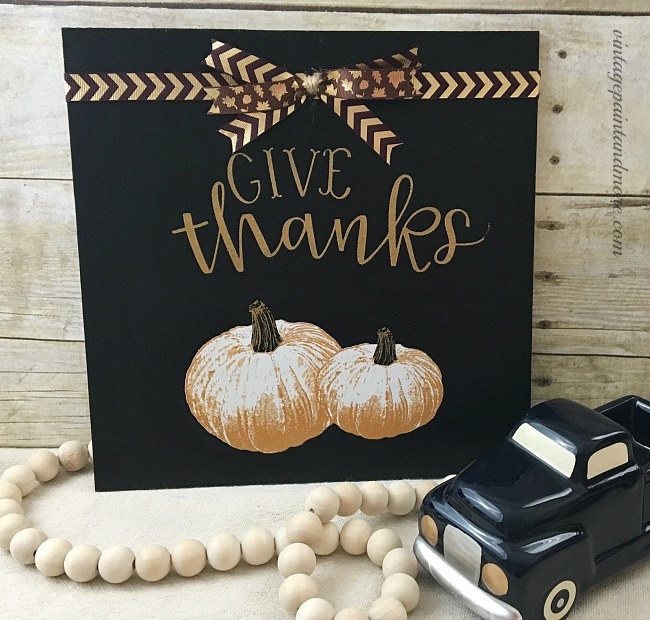 So, today I decided to share a beautiful little sign I made to celebrate Thanksgiving and all it means.